Sea Safari 8 is a beautiful traditional two masted Phinisi sailing boat, finished to perfection in warm tropical teak. 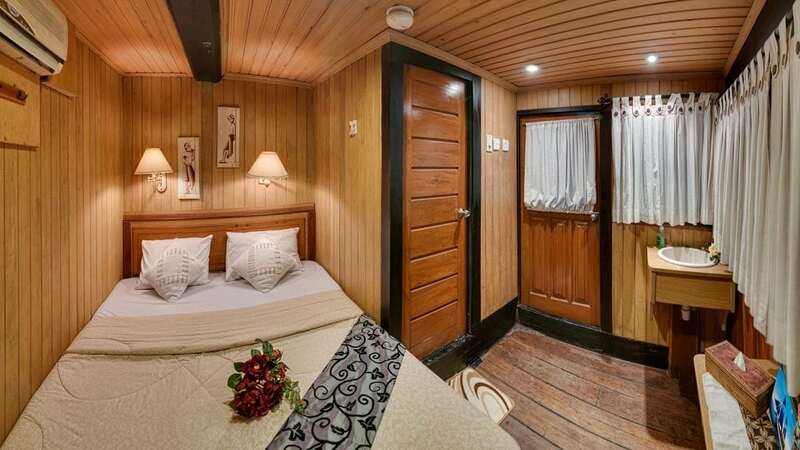 A recent addition to the Sea Safari family of liveaboards which sail the waters of Eastern Indonesia, the Sea Safari 8 has been designed to provide the perfect balance between practical liveaboard diving and cruising luxury. 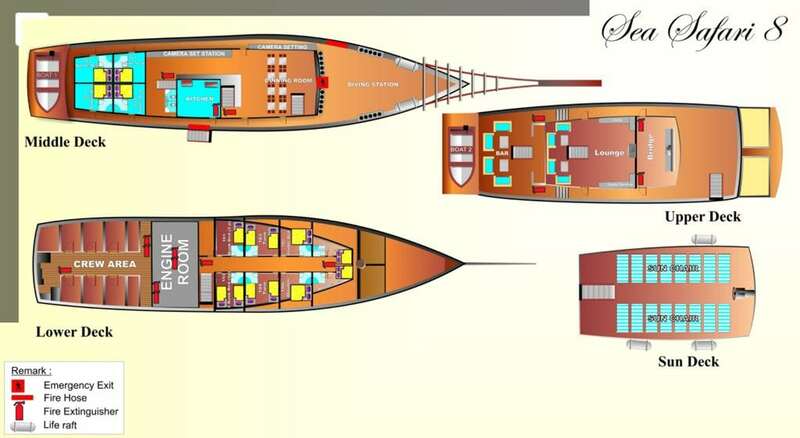 She is 34m in length and accommodates up to 23 divers in 16 well-appointed cabins. Sea Safari 8 is dedicated to Raja Ampat and Cendarwasih Bay and operates 6, 7, 8 & 9 night trips in both north and south Raja Ampat. 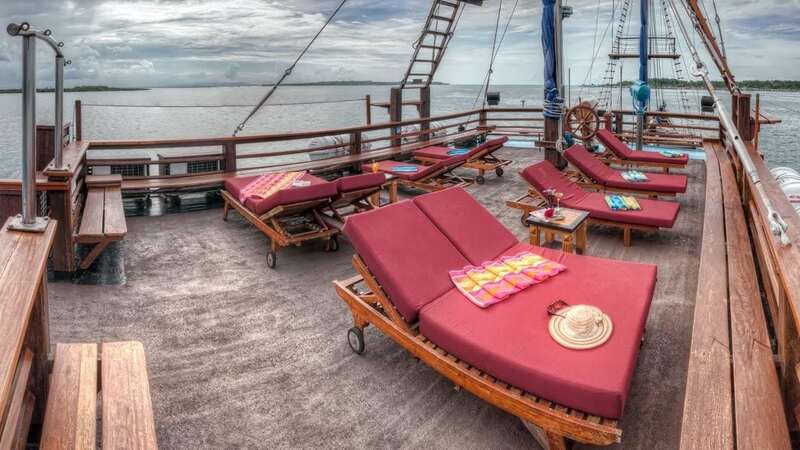 Sea Safari 8 consists of 3 main decks for living and diving plus an additional Sun Deck complete with sun loungers to relax between dives with personal music or a good book. 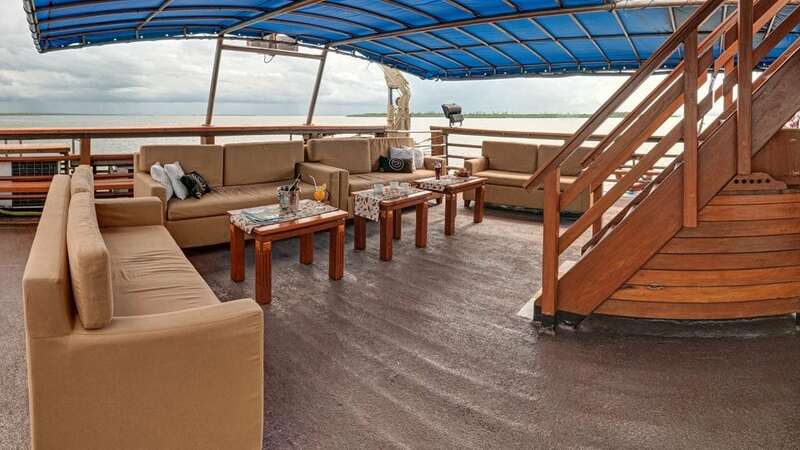 The Upper Deck contains the air conditioned lounge area with 42” TV screen and an ample selection of current films and documentaries on DVD, as well as fish I.D and wildlife books, novels, and travel guidebooks. Outside is the covered bar where you can enjoy the spectacular sunsets. 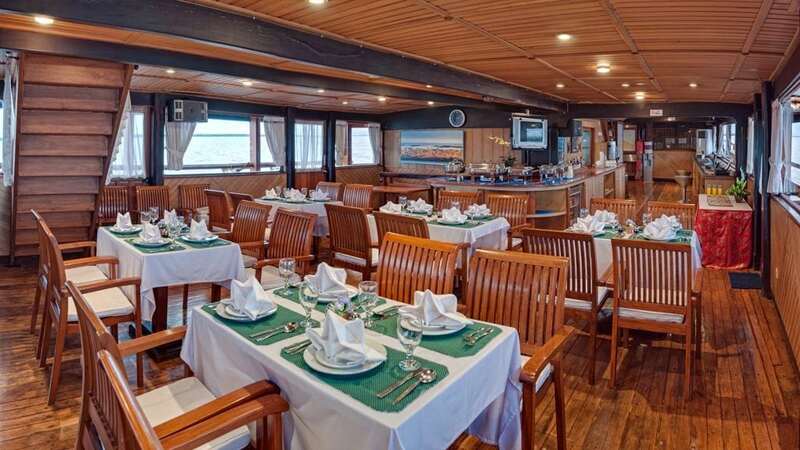 The middle deck accommodates the generous dining room where all meals are served. There are a number of camera stations around the edge of the dining room with ample power points. 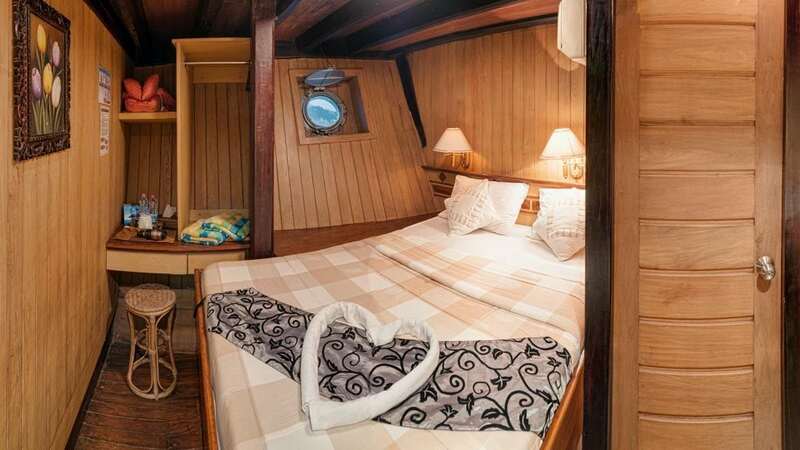 Also on the Middle Deck are 4 double cabins, each with a double bed, en suite and air-conditioning. Two rear cabins have generous windows. 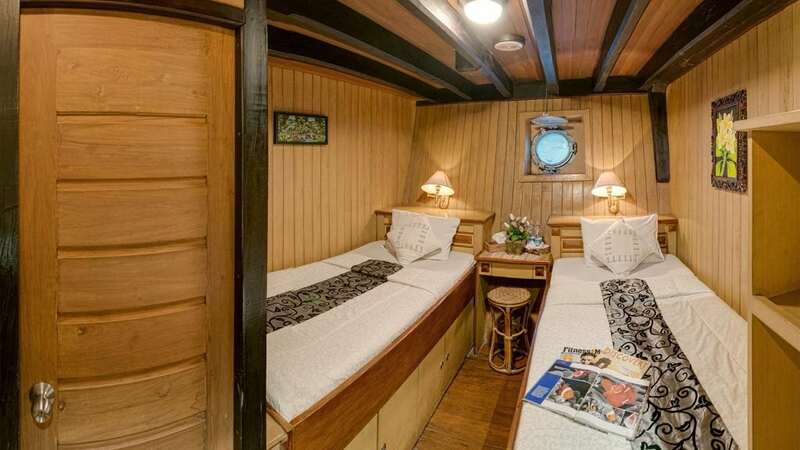 The lower deck has 4 Double bed cabins, 2 Twin bed cabins and 2 Bunk beds cabins. All with en suites, port holes and European style 2 round pin plug sockets. 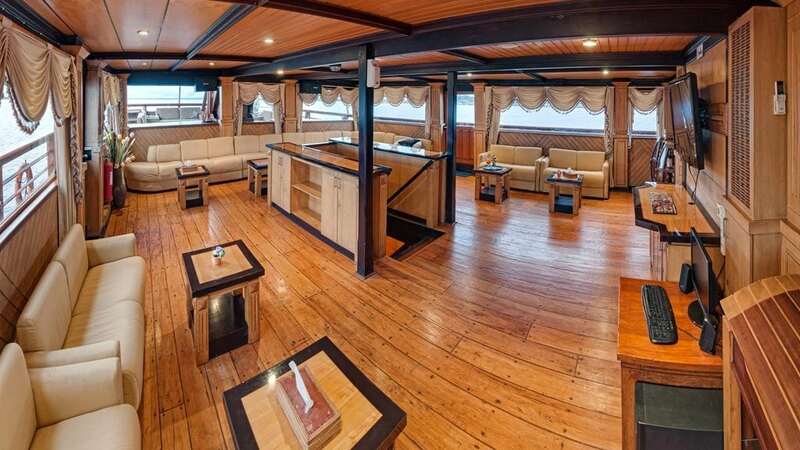 Non-alcoholic drinks, tea and coffee are included in the price of the charter, and beer and wines are available to purchase; however, for a small per trip corkage fee you are welcome to take your own alcoholic drinks aboard. 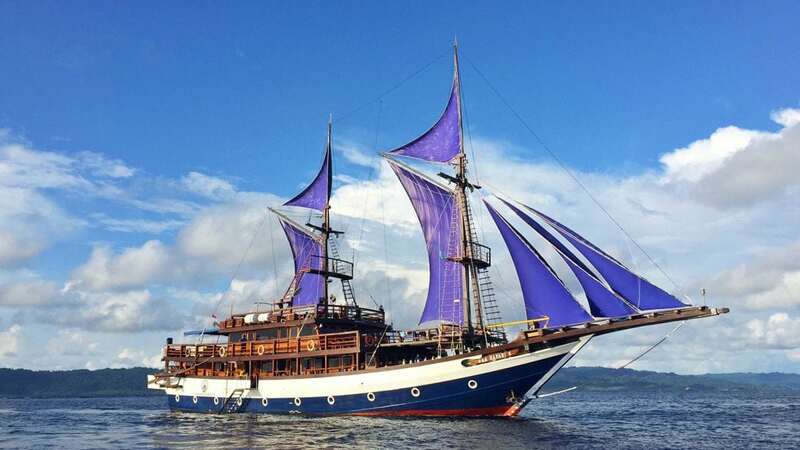 Most of the Raja Ampat itineraries start and end in Sorong. 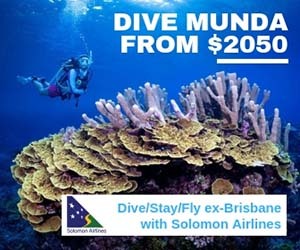 The Cendrawasih Bay itineraries start and end in Manokwari (which has its own well-served airport). Before every dive, the Dive Master briefs the divers on the covered dive deck where all the dive gear is stored. Once kitted, divers descend the stairs into the two spacious dive tenders, from which all diving aboard the Sea Safari 8 takes place. It’s a backward roll in, with a broad and deep ladder to exit the water. There are dedicate camera tubs, external camera tables for drying, and internal camera tables for charging, cleaning and setup. 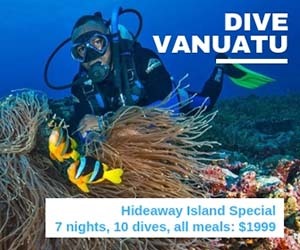 For dive guest safety, all dives are under the supervision and expertise of PADI Instructors or local PADI Dive Masters with years of experience in these waters. 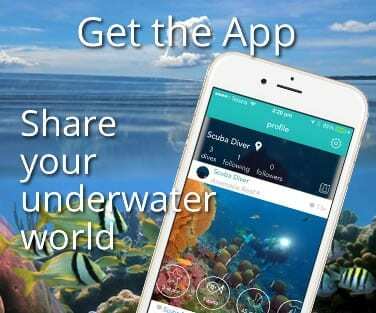 Nitrox is available to Nitrox qualified divers. All Sea Safari vessels are equipped with modern navigation systems, up to date safety and first aid equipment and ENOS diver locator systems. 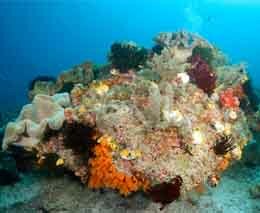 Raja Ampat needs no introduction as a diving destination. 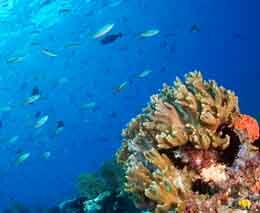 Raja Ampat is acknowledged as the biodiversity capital of the marine world. Here’s an interesting read as to why! There are over 3,000 species of fish there – including some that make fish lovers go a bit gooey inside. And of course there are the Mantas at Manta Sandy – one of the most accessible sites to see mantas – unlike the raging currents of Makassar Reef in Komodo or the frigid waters of Manta Point in Nusa Lembongan. 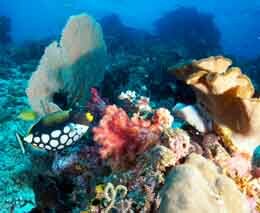 Sea Safari 8 offers the perfect balance of diving and comfort whilst offering a variety of itineraries in West Papua.